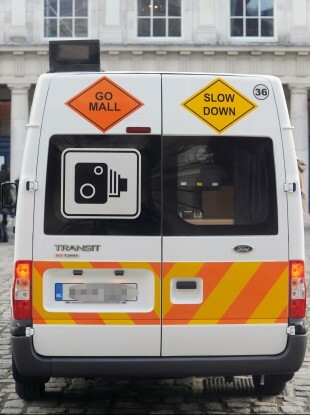 THE OPERATOR OF a mobile speed camera van whose vehicle was covered in petrol and set alight been awarded €28,000 at the Equality Tribunal after he was unfairly dismissed. The attack destroyed the Go Safe van “in minutes”. John McDonald experienced depression and anxiety following the attack in January 2011, and was unable to work for several months. The company paid for his counselling. However, while McDonald wished to continue working the company once he had recovered, he said he would be unable to work as a speed van operator. He was dismissed from Go Safe in October 2011 “solely due to his inability to work in the capacity for which he had been trained and employed”, the ruling by Equality Officer Orla Jones reads. While the company did make efforts to find McDonald alternative work within Go Safe, they did not consult with him on the available options. These included cleaning jobs at the depot and administration work, but the latter wasn’t considered viable as it would have involved a 300km commute. “The complainant advised the hearing that he was not at any point engaged in discussions or consultations about this or any other possible alternatives,” the ruling read. Go Safe also did not inform McDonald that CCTV cameras, digital recording systems, speakers, and beacons had been installed on vans to deter attacks in future. The respondent came to this conclusion without consultation with the complainant and the complainant was never asked whether or to what extent special measures could be taken to enable him to return to work. It was noted that, as required, the company did take steps to ensure McDonald was unfit to work. He was awarded €28,000″ for the distress experienced” by discriminatory dismissal and the company’s failure to provide him with reasonable accommodation. Email “Speed van worker awarded €28k after petrol attack”. Feedback on “Speed van worker awarded €28k after petrol attack”.